Magic Behind All JPY250/piece Food and Drink. 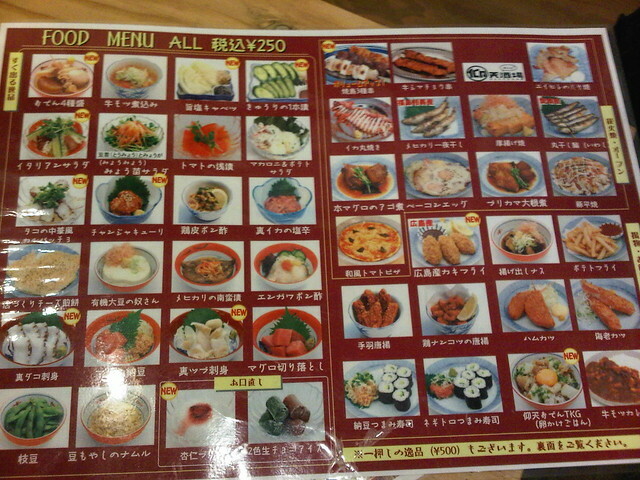 When it comes to infrastructure and efficiency, as well as a wicked dining experience, Japan is so good at it. Companies, conducting B to C dining business, are always aware of their customer's activities and they do whatever necessary to come up with new service/infrastructure to accommodate their overwhelming demands. So, how does the situation look like now? 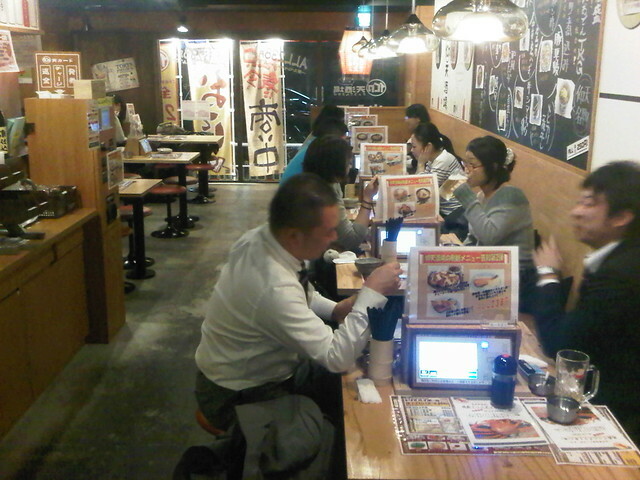 Because of this so-called recession and deflation in Japan, people are spending less and less at restaurants/bars. In order to tackle this issue, the dining industry has come up with a restaurant like JPY300 Izakaya shop --just like JPY100 shop-- food, draft beer and shochu----everything is served JPY300. In the world of capitalism, when a shop like this launches a competition emerges. 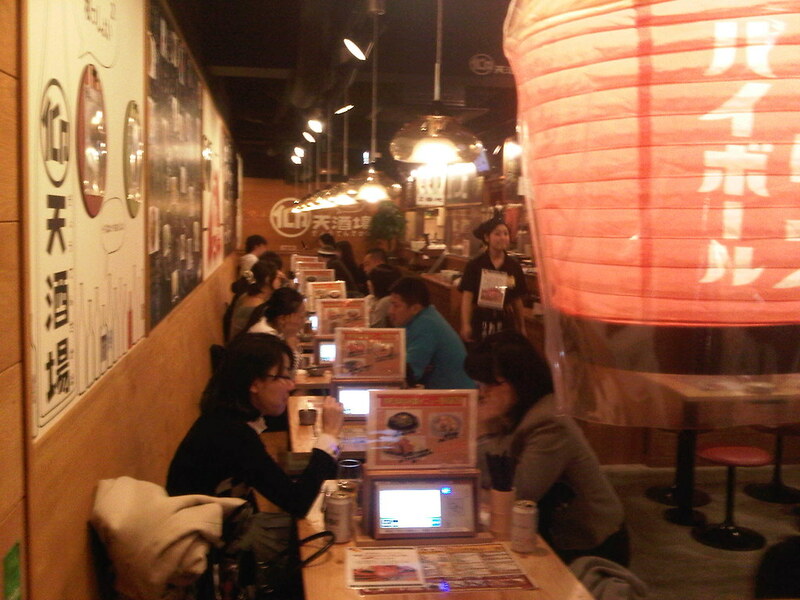 Later, its competitor has created a similar store with more competitive price -- JPY270 Izakaya. This is how the store looks like. Each table has a touch-screen panel and this is the key ingredient. Once a customer walks in to the store, the first thing she/he needs to do is to purchase a pre-paid transit card, like Suica. 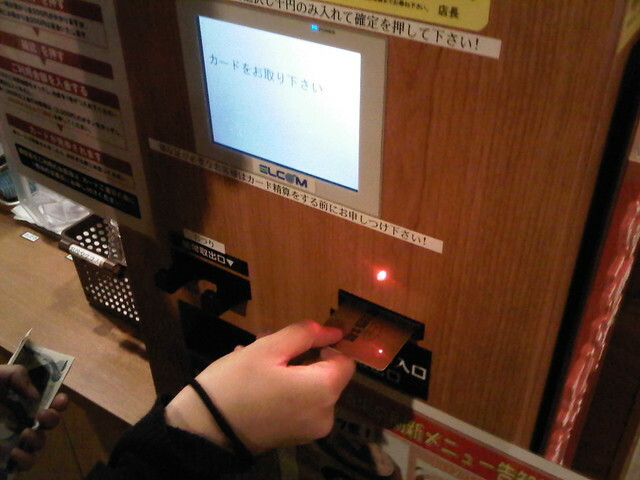 Then, place an order from this touch screen, and make a payment by placing the pre-paid card on the sensor. Moment later, drinks and foods are being served. 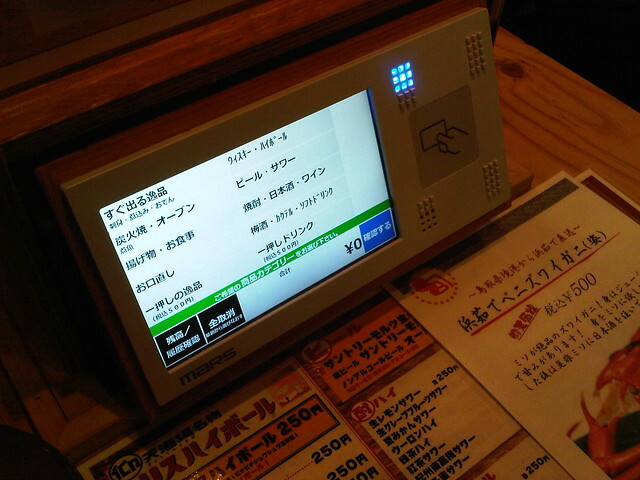 With this system, the restaurant allowed to eliminate the number of staff significantly. Got to admit the quality of food is the equivalent to the price you pay, but beer from the tap -- this price is tempting. Good for a quick drink and a few nibbles.